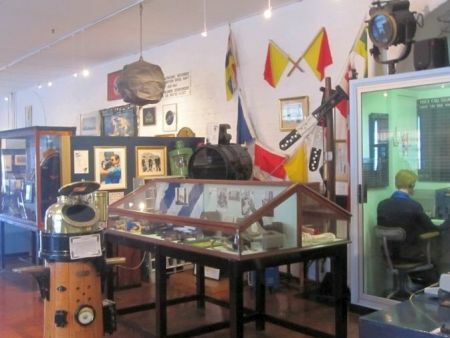 The South African (SA) Navy Museum in Simon's Town contains a host of continuously expanding exhibits and naval associated artifacts. It's filled with vintage navigational and Navy divers equipment, ship and submarine models. If you like tales of naval battles and heroism on the high seas or if you are curious about what the inside of a submarine looks like, then head for the SA Navy Museum - but you will have to resist the urge to ring various brass bells scattered around the museum. Table Bay in Cape Town City centre was the main docking point for ships rounding the Cape of Good Hope in the mid 1600's. The little seaport of Simon's Town become the preferred harbour during the winter months in the Cape as it was less exposed to the hazardous North-Westerly Storms. In 1971 The ruling Dutch East India Company made it official that Simon's Town would become the winter anchorage & the town developed quickly to accommodate the busy naval port. During the 2nd occupation by the British, which began in 1806, the Royal Navy also took up winter anchorage in Simon's Town. 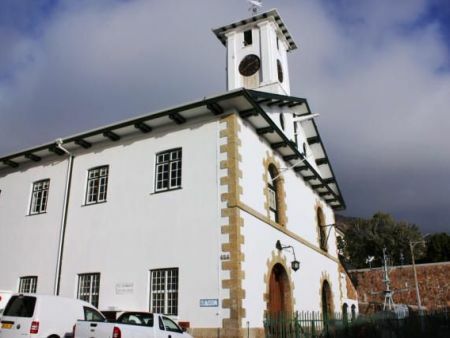 A mast-house and a sail loft were built, and in 1993 this space was taken over by the SA Navy Museum. 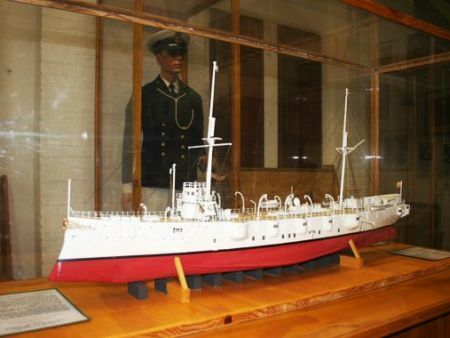 The Entrance Hall contains ship models and other reminders that the South African Navy is the heir to the proud naval traditions of Portugal, Holland, Great Britain, Germany and the Scandinavian countries. There is a real-life-size ships' bridge, a cross section of the inside of a submarine's ops rooms and heaps of naval guns, torpedoes and an anti-submarine mortar. 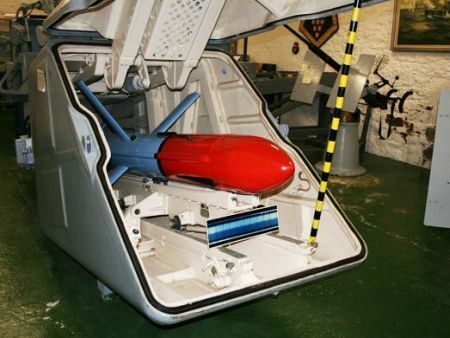 You'll see mine-sweeping equipment and sea mines. 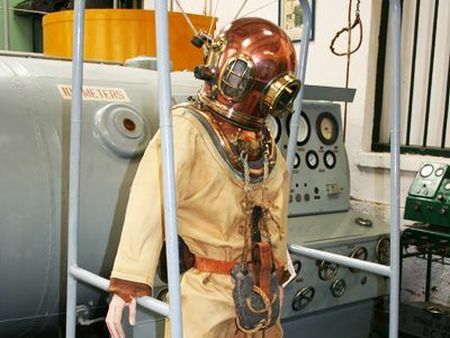 It's filled with vintage navigational and Navy diver's equipment - the old diving suit looks like a prop for a movie! The various uniforms worn by branches of the South African Navy, from yesteryear to the current era, are on display. You'll see the real faces of people who've served in the South African Navy and even the uniforms and diving gear they wore. There are various ship and submarine models and also some very dramatic naval artwork on display in the museum, recalling in particular various sea battles fought during World War II. 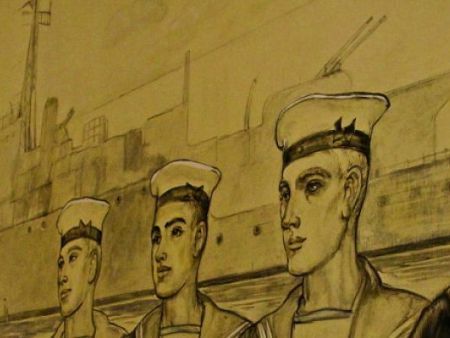 There is also some very dramatic naval artwork on display in the museum, recalling in particular various sea battles fought during World War II. In the same building, right next to the museum, is St George’s Dockyard Church, which was consecrated as a place of worship by the archbishop of Cape Town in 1945 so you can contemplate the meaning of life in this naval chapel, with its elaborate mural features by Joy Collier. In the Boat house, there is a replica of the figurehead of HMS Flora (1844) & two other figureheads mounted in the foyer. A large variety of weapons on display here. 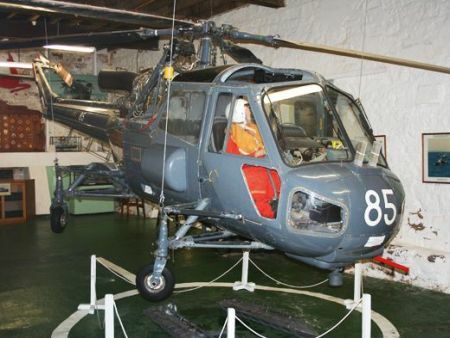 In the Mast house, there is a display of a Westland Wasp Maritime helicopter, the Fire Brigade & a number of small craft. The submarine, Diving & Mine Counter-measure displays are in the Rigging House - which includes the Operations Room & Control Room of a submarine, a diving exhibit & a full sized replica of the bridge of a ton Class Minesweeper. In the Storehouse is the SATS General Botha Exhibit (this restored ship was a nautical training school from 1922 - 1942). There are also portraits of the Chiefs of the SA Navy. The museum is way bigger than it first appears and there are several guns, radar masts, directors on display outside. The lower station & pylons of the Aerial Ropeway can also be seen outside. 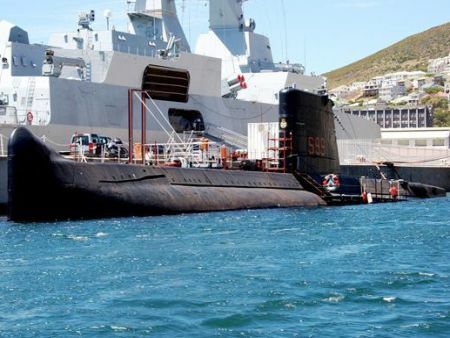 The South African Naval Museum is managed jointly by the South African Navy, and the South African Naval Heritage Trust and its society so it is staffed by Naval Personnel and civilian volunteers. Please note that the Submarine Museum (SAS Assegaai) is currently not open to the public. The boat was taken out of the water for maintenance and plans are currently afoot to move the boat ashore and to reopen to the public in future. In the meantime you are still welcome to visit the SA Naval Museum itself.